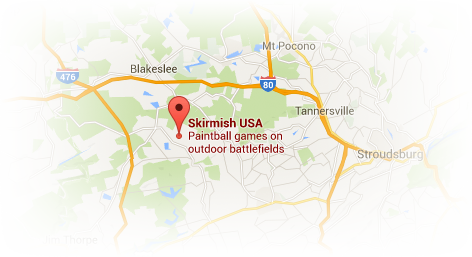 Come on out and play Skirmish Paintball for the discounted entry rate of $18.00 per person. Don’t forget, everyone that pays for their reservation at least 24 hours in advance gets 100 free rounds of paint! That's right! Our 1/2 price field entry rate is available to everyone ages 10 and up. 211 North Meckesville Road, Albrightsville, PA 18210. Click here for directions. 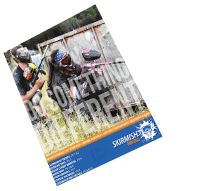 $18.00 per person – preregistration discount, ages 10 and up. $24.00 per person – game day registration, ages 10 and up.